Confectionery ovens are perfectly suitable for baked goods such as pastries, croissants and bread. At Dijko Ovens BV you are at the right address for ovens that fully suit your needs, since our ovens are tailormade. Before starting the design, development and installation of the oven, we would like to hear all about your wishes and requirements. Based on those, you receive professional advice and an oven that is just right for your production process. 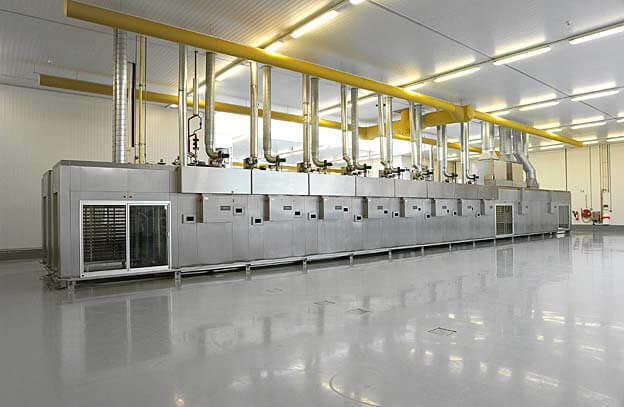 What makes our confectionery ovens unique? 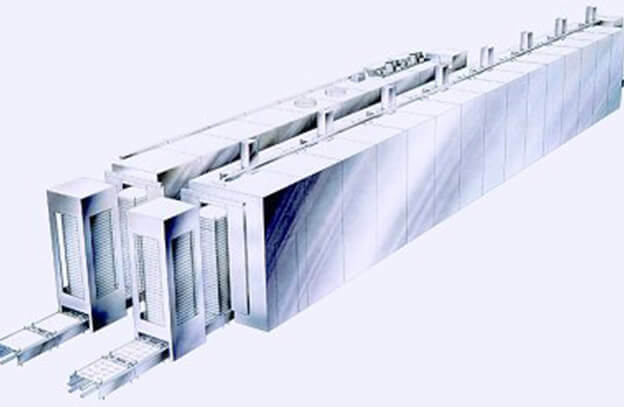 Especially for bakeries and confectioneries we have designed our Tunnel Rack Oven System. This oven makes it possible to bake multiple products at once on trays or in tins. Those confectionery ovens are suitable for baking a wide range of products, such as bread, pizza, pies, biscuits, cookies and pastries. Those products are automatically handled through the full production stage of proving, baking and cooling. This makes your production process highly efficient. When working in the confectionery business, a high quality confectionery oven is essential. At Dijko Ovens BV you are guaranteed to receive the oven that is perfect for your specific production process. We are more than happy to advise you about the possibilities we offer for your wishes, needs and requirements. Feel free to inquire by calling us at +31 (0)13 594 22 11.